There are been so many posts and tutorials on how to download youtube videos, so I will not be talking much on this topic but rather go straight to the point. Just as there are many posts, there are also several browser extensions that can be used to download videos from youtube, but today, I will be sharing with you an effective Mozilla Firefox Extension I am using to download YouTube videos free. The reason I like this particular addon is because, it has the option to convert the videos into different file formats such as MP4, FLV, MP3 and AAC, before downloading it into your PC. First, you need to understand that the extension I am talking about here is a Mozilla Firefox addon. If you need other browser’s addon that can also perform this function, you can google it and I believe you will find some good ones around. 1. To get started, we need the addon. 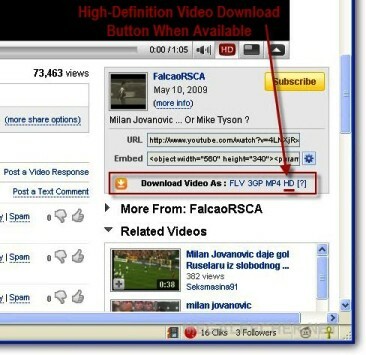 Download Easy YouTue Video Downloader here. 3. Restart your browser and you are done. That is the update for now. I hope it is of help to you. Share this post with your friends to say ‘Thank You John‘. And do not forget to drop your email below (if you haven’t done that) so you can start receiving several facebook tips from SO Jay in your email free.